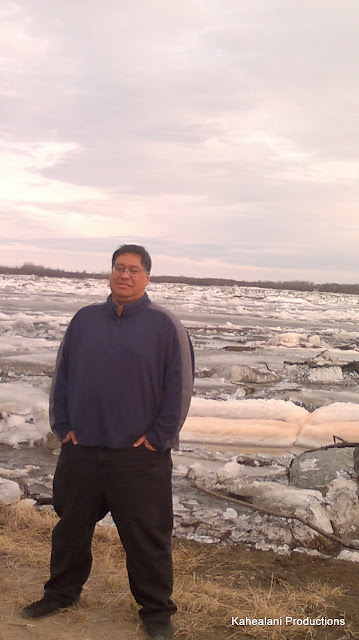 WAIPA IN REAL LIFE: KUSKOKWIM RIVER "BREAK UP JAM" 2012 IN BETHEL, ALASKA!!! KUSKOKWIM RIVER "BREAK UP JAM" 2012 IN BETHEL, ALASKA!!! EVERY YEAR WHEN THE FROZEN KUSKOKWIM RIVER IN BETHEL, ALASKA BREAKS... THE BETHEL COMMUNITY SERVICES HOST AN EVENT WITH LIVE MUSIC PROVIDED BY LOCAL ARTISTS AND FREE HOT DOGS AND PUNCH FOR THE PUBLIC TO ENJOY. IT'S A SIGN FOR SUMMER TO COME AND LONGER BRIGHTER DAYS TO ENJOY WITH YOUR FAMILY AND FRIENDS. FISHING AND LOGGING IS ALSO PART THE LIFESTYLE OF SUBSISTENCE LIVING AMONG THE PEOPLE OF THE KUSKOKWIM DELTA REGIONAL AREAS. AGAIN... THANK YOU TO THE BETHEL COMMUNITY SERVICES FOR HOSTING AN AWESOME EVENT AND ANOTHER THANK YOU TO "FROZEN WHITFISH" FOR THE THE LIVE MUSIC ENTERTAINMENT!!! THE B.V.E.S.A. ANNUAL MEMORIAL GARAGE SALE!! !